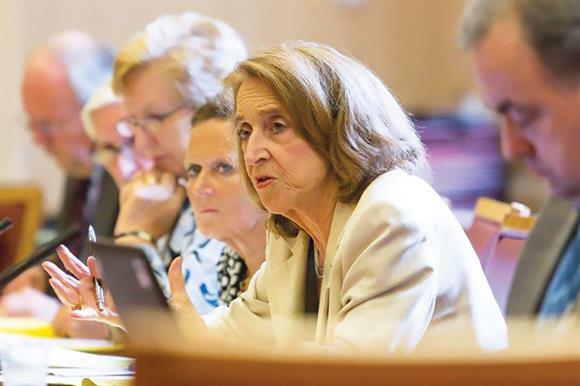 Baroness Pitkeathley is no stranger to the voluntary sector. Before accepting a Labour peerage in 1997, she was the chief executive of Carers UK for more than a decade. And since entering the Lords, she has chaired a number of charities and organisations connected to the sector. In many ways, she has become the go-to person in the Lords, and indeed parliament, when the charity sector wants an issue quietly raised in parliament. It came as no surprise, then, when she was chosen earlier this year to chair the Lords Select Committee on Charities, an ad-hoc committee that will consider the role of the charity sector and charity governance and report its findings next spring. Ad-hoc committees are set up to look at specific subjects outside the remit of the permanent House of Lords committees. Pitkeathley says the committee's creation has come about after the "bad times" the sector has endured as a result of the fundraising scandal and difficulties over issues such as chief executive pay. She says there is a feeling among some peers that they need "to get the positive message" out about the sector. The committee has held two sessions so far: the first heard evidence from senior members of the Charity Commission about its role, the second from charity umbrella bodies. At the latter, the commission's get-tough approach to regulation was heavily criticised. Pitkeathley, though, is not so eager to round on the regulator: "One can't turn away from the fact that the commission has had its budget radically reduced and has increased responsibilities. The problem of being a regulator and adviser/supporter has not yet been entirely resolved." In late July, the committee opened a call for evidence from charities, which will run until 5 September. Further evidence sessions will be held in the autumn and before the final report is published by 31 March next year. Given that the recommendations of parliamentary committees are rarely accepted by government, however, will all of the effort be worthwhile? "I would not be doing it if I weren't convinced it had value," says Pitkeathley. "There's no point in doing it to make charities feel good. We want something specific to come out of this. That's why we're very keen on getting examples from charities."